Looking for an expert emergency locksmith providing a complete range of residential, commercial and automotive locksmith services in Yokine and right across the Perth metropolitan area? Based in Balcatta, Action Lock Service has a modern fleet of four fully-equipped vans and an enthusiastic team of dedicated locksmiths who take your security needs as seriously as you do. Whether you’re locked out of your home or office, you’ve broken your car’s transponder key or you need emergency locksmith services due to vandalism or a break-in attempt, we’re the local locksmiths to call. And they’re just a few of the many services that we provide to home and business owners in Yokine and across Perth. 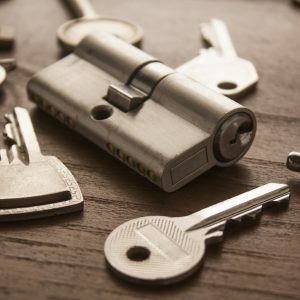 We supply and install locks, including deadbolts, deadlocks, screen door locks and locks for replacement windows, we can help you to gain access to your home or workplace if you’ve locked yourself out and we also offer a wide range of safety devices, including exit devices and panic doors, for commercial and office buildings. Whatever your home or business security requirements, we offer a reliable 24/7 locksmith service that enables us to have a mobile workshop at your location in just 15 – 30 minutes at any time of the day or night. Whenever you need an emergency locksmith in Yokine, give our locksmiths a call. What’s more, as we provide insurance work, Perth car owners whose policies cover the replacement of keys and rekeying of locks can use our services with confidence, providing motorists with a completely reliable and professional service that meets insurer requirements. For a complete range of commercial, residential and automotive locksmith services in Yokine, call Action Lock Service – 08 9240 7200.